Alliance Moving Systems is a moving and storage business located in the Vail Valley, the heart of Colorado’s high country. With over 25 years of experience in residential and commercial moving, Alliance offers professional relocation services both locally and nationally. 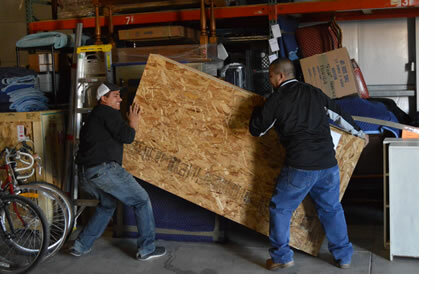 We offer a full range of moving and storage services including climate-controlled storage facilities, packing and crating materials and services, shuttle services, debris pickup and removal, experienced estimators and local delivery services. Alliance uses stretch-wrap to protect upholstered furniture from snags, rips, and stains. It is used on every Alliance move at no additional cost. As agents for Allied Van Lines, Alliance Moving Systems offers all of the benefits of a national company, with the personal attention and dedication of local owners and operators.